Welcome to my very first Favorite Things Thursday link-up! I announced Favorite Things Thursday as last week's Summer of Something New post, so be sure to read all about it if you haven't yet! Some girls are cat ladies, some girls are dog ladies... I'm a proud bunny lady. Truth be told, kitties were my favorite until I was diagnosed with bad cat allergies three years ago, but that's a story for another day. Bunnies are a cute and cuddly animal that I am happily not allergic to, and I love them oh so much! What doesn't help my bunny addiction is the fact that I used to have the cutest bunny in the world- meet Lily everyone! My parents never intended to bring home a pet bunny after we took a family day trip to Maine's biggest fair in October 2005. But we happened to pop into the bunny barn at the Fryburg Fair towards the end of our day... and fell in love with this little cutie! I named her Lily and she was such a joy to own. She lived in a little shed in our backyard. We always left the cage door open so she could jump out and play on the floor of the shed if she wanted, pretty sweet life for a bunny! We called her shed "the bunny condo." :-) We also used to take her outside around the backyard for walks on a little rabbit leash. In her later years we stopped putting the leash on her and would let her run free around the yard. Even though we didn't have a fence, she never ran away! Lilly was with us until April 2011, when she passed away. She was a mini rex rabbit, and the smaller breeds don't usually live more than 5-6 years. Speaking of mini rexs, they're an awesome breed of rabbits! All rex rabbits have super soft and plush fur that is softer then a beloved stuffed animal. A mini rex rabbit is simply a smaller, cuter version of a rex. ;-) They're a very friendly breed, and although they aren't big cuddlers they can be very affectionate. Lily used to love "bathing" our hands for us. When I get out of college, I definitely want to get another rabbit! Someday I would like to own a dog since I've never had one, but I think that a bunny will be the first pet that I get on my own. They do require a decent amount of work which teaches responsibility, but they can also be left alone for more periods of time then a dog, and they're pretty mellow. Plus they're also freakin' CUTE. I also love bunny accessories. I have a really cute set of bunny notecards for writing letters, and stuffed rabbits have always been among my favorite stuffed animals. One of the reasons that I love Easter/springtime is it makes it acceptable to put up bunny decorations all around! If you're linking up with me for FTT be sure to include the special button in your post! Can't wait to see what your favorite things are! Oh, goodness. You're a girl after my own heart. I simply adore bunnies and I greatly miss the four I used to own. 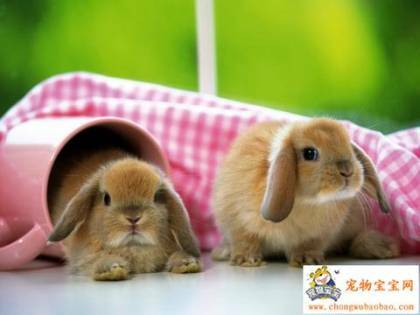 Like you, I want a dog and a bunny when I have settled down in my own place - particularly the bunny. There are not enough words of praise to describe how truly wonderful a bunny is as a pet. hahah, we used to have a pet bunny too! Except he was like 20 pounds and HUGE but so so cute. and we took him on bunny walks too, hahah.